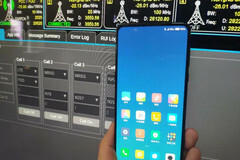 Director of Product Management for Xiaomi Global, Donovan Sung, has posted a photo of the upcoming Xiaomi Mi Mix 3 that shows the handset operating on a 5G network. The Mi Mix 3 will be one of the first phones to support 5G when it launches in October this year, much ahead of time even before 5G networks actually start rolling out. Xiaomi's Director of Product Management, Donovan Sung, took to Twitter to post a live photo of the Mix 3 in a network test lab. The photo shows the handset working on a 5G+ network. This makes the Xiaomi Mi Mix 3 one of the first 5G-capable smartphones in the wild when it launches next month. Although field tests are currently underway in many parts of the world, 5G networks are only slated to officially roll out towards the end of this year. Looking at the photo, one sees that the phone displays a 5G+ network and the dashboard shows 5G NR on the n257 band. This is an 800 MHz mmWave band in the 26.5-29.5 GHz part of the spectrum that works in the United States so there could be a possibility of Xiaomi officially launching the phone in the US. 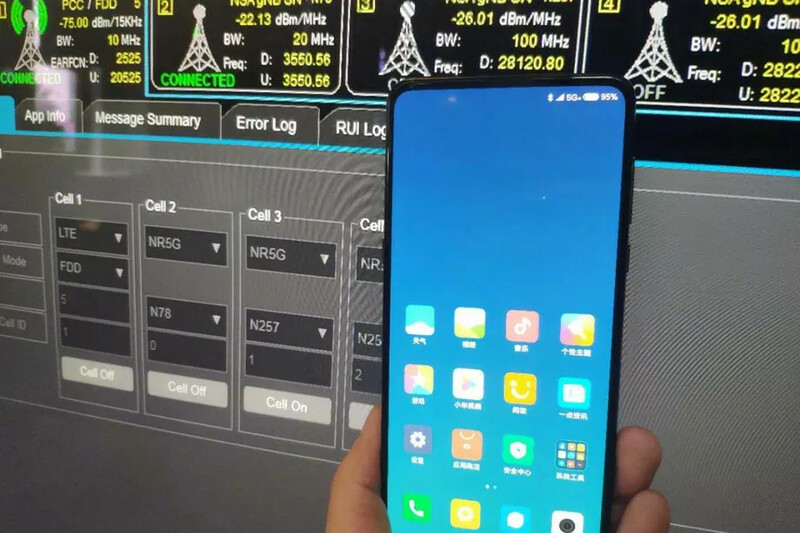 Either that, or Xiaomi is testing compatibility with different 5G bands for worldwide roaming. Do note that while mmWave radio can have high bandwidth due to the low wavelength and high frequency, it can get easily attenuated by most objects including the human body so it remains to be seen how phones and carriers can circumvent this problem. Phones sporting the Qualcomm Snapdragon 845 SoC come with the Snapdragon X20 LTE modem so Xiaomi could be using the Snapdragon X50 in conjunction with Qualcomm's new QTM052 and QPM56xx antennas to latch on to both mmWave and sub-6 GHz frequency bands. Sung later tweeted that 5G download speeds are 10x faster than 4G but this is highly variable in the real world. Many worldwide networks do not fully offer the Gigabit LTE speeds that are possible with current infrastructure so this is just an arbitrary number possibly derived from controlled lab tests. The Xiaomi Mi Mix 3 is the Chinese smartphone maker's next flagship iteration and is expected to further improve upon the bezel-less trend originally set by the Mi Mix and the Mi Mix 2. Not surprisingly, the phone will be powered by the Qualcomm Snapdragon 845 SoC and is expected to feature some form of dual camera setup at the rear, an OLED screen, wireless charging, and a possible pop-up selfie cam. The other phone we know that will support 5G NR is the Moto Z3 that uses a 5G Moto Mod to help the phone recognize and tune in to Verizon's 5G network.